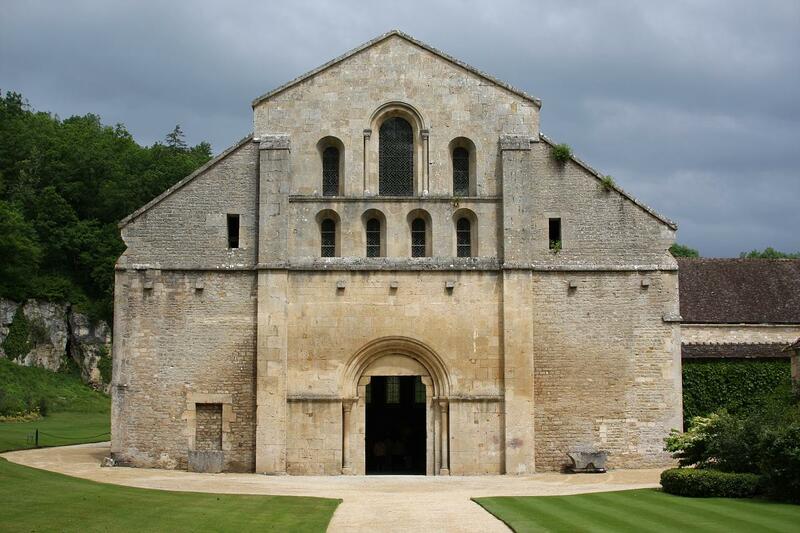 West facade of the church of Fontenay Abbey in northern Burgundy, France. The abbey was founded by St Bernard of Clairvaux in 1118. Its church, built from 1139 to 1147, is the oldest Cistercian church remaining in France and one of the finest examples of the Cistercian Romanesque. The monastic complex was completed by 1200.